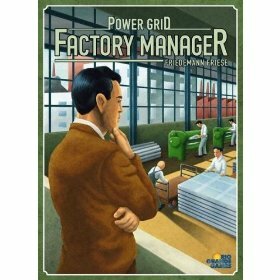 Factory Manager, from designer Friedmann Friese, is a new game with only loose ties to his previous hit, Power Grid. It’s also a tight game of resource optimization with energy an important thematic component. However, in this case players vie to assemble the most productive and efficient factory. No previous product from the Power Grid line is required. However, I definitely wouldn’t recommend it for Ft. Worth journalists. You’re absolutely right that while an incredible game, Power Grid is certainly not for everyone.